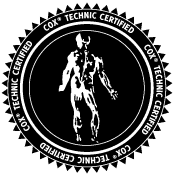 Typically, evaluation and treatment with Cox Technic protocols can start 6 to 12 weeks after surgery or when you are released from surgical care. Aaron Chiropractic Clinic will carefully examine you prior to any care. The findings of your examination and diagnosis will determine your visit frequency. Your visits to the chiropractor are determined by your condition and its severity. Aaron Chiropractic Clinic follows published guidelines regarding the visit frequency. The guidelines are dictated by the rule of 50%. 50% relief is sought in the first 30 days of care. If that percent is not attained, further testing or other consultation for your condition will be made. Contact Aaron Chiropractic Clinic to discuss your back condition and its pain prevention and control. Your condition is individual. Your doctor at Aaron Chiropractic Clinic will carefully examine you for any and all symptoms and recommend a treatment plan for you. If at any time in your care, your condition changes, tell us. We will monitor your condition and adjust the plan as required. Contact Aaron Chiropractic Clinic for a thorough examination of your pain due to a bulging disc and a treatment plan to relieve it. Contact Aaron Chiropractic Clinic today for an evaluation of your sciatic leg pain, the first step toward its relief. Contact Aaron Chiropractic Clinic for an evaluation of your sciatica and plan for its relief. Contact Aaron Chiropractic Clinic for your chiropractic examination and treatment.